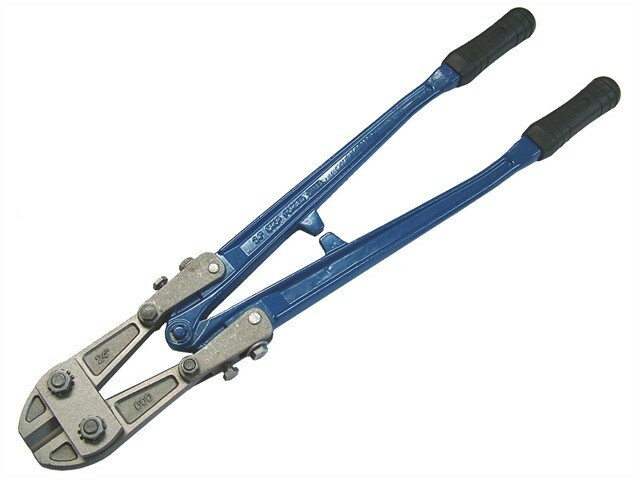 The Faithfull Centre Cut High-Tensile Bolt Cutters with cutting blades forged entirely from heavily alloyed steel which produces a thoroughly hardened blade with a sound structure. The ground edges of the cutting blades are subjected to a second hardening process which ensures maximum hardness of the cutting surface. The cutter head may be adjusted to compensate for blade wear.